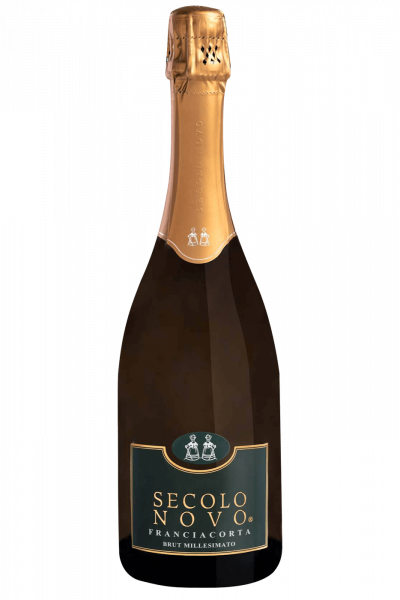 Top Wine of the Franciacortina company, the Secolo Novo, vintage from pure Chardonnay grapes, is a wine capable of confirming excellence with every vintage, the cutting edge of production, a real jewel of dedication and patience. The grapes come from the most prestigious area of Franciacorta, the hill of La Santissima, where the thermal excursion, the clayey soil and the shelter of the Alps, contribute to bring to the harvest an intact and perfect grape. The result in the glass is pure poetry, a rich, complex and rigorous taste, able to give great satisfactions over time. Golden straw yellow, rich in sparkling chains, with a jointed nose on pineapple, citrus and melon mixed with pastry, marzipan, almond paste and mineral notes. The taste is round for softness and body, of lively freshness and fine effervescence, with long and consistent citrus returns. Perfect with baked sea bass, noodles with lobster but also with a mixed grill of sea.